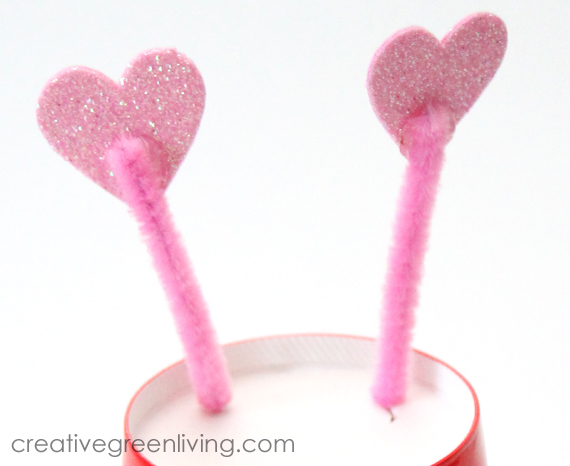 Give your love bug wings by cutting two white chenille stems in half to make 4 pieces total. Bend the 4 stem pieces into long loops, twisting the two ends of each piece together to secure. Glue the four wing pieces to the back of the cup as pictured. Add a heart rhinestone over the area where they meet. 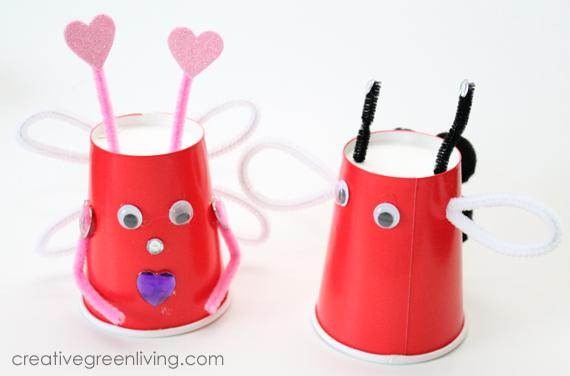 Give your love bug a face by adding googley eyes, a nose (the small, round rhinestone) and a mouth (a heart rhinestones) with the glue. Make arms by bending the 2 remaining pink chenille stem pieces in half at a 90 degree angle. 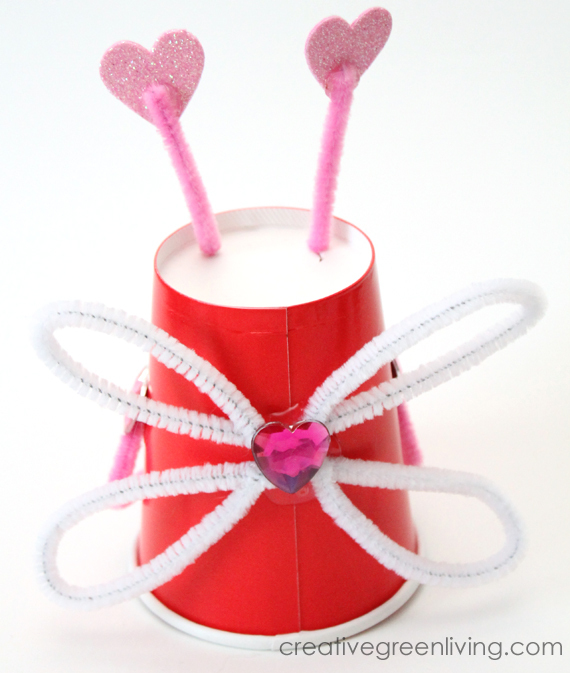 Glue them to the sides of the cup and add a heart rhinestone over the area where they meet the cup. 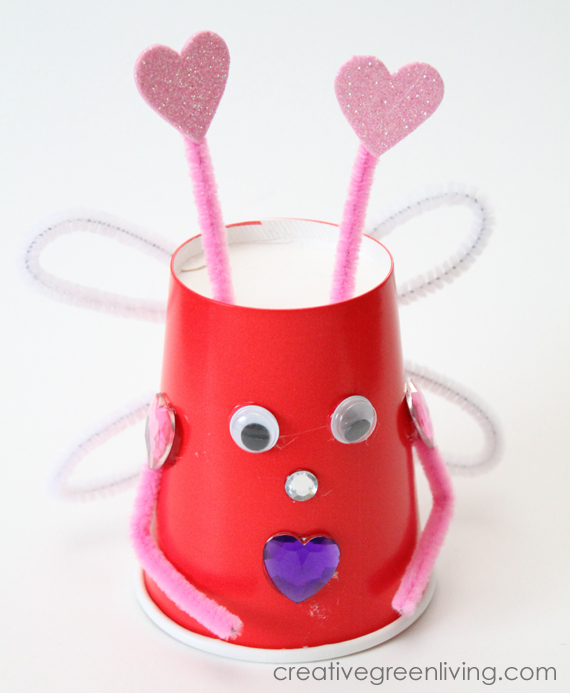 I hope you enjoyed this craft! 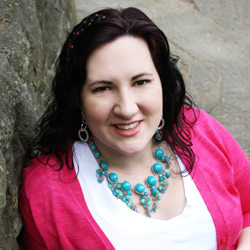 I'd love to hear how it turned out for you in the comments or by posting a picture in the Creative Green Living Community Group on Facebook!